The term search engine optimization covers a variety of practices that are used to help a website increase its rankings on search engines such as Google, Yahoo, Bing, and more. These practices include a mix of both on-page and off-page SEO tactics that each count towards your website’s rankings. Although all of these tactics are available to any business looking to use them, there is a great contrast between which are used when comparing big businesses to local businesses. Many businesses are aware of tactics pertaining to on page as well as off page SEO but much fewer actually take advantage of all of these tactics rather than relying heavily on one over the other. An example of this would be numerous national brands that optimize their website during initial creation but fall short on creating and uploading any content after the site is published. These sort of organizations, due to their incredible size and reputation, can often manage to earn high search rankings. This is because larger organizations like this are much more likely to be found on review sites, across listings, and within links posted by other sites. This often proves to be enough to get big businesses ranking for their target keywords. Although, if you’re a small business, achieving search rankings is not always that easy. 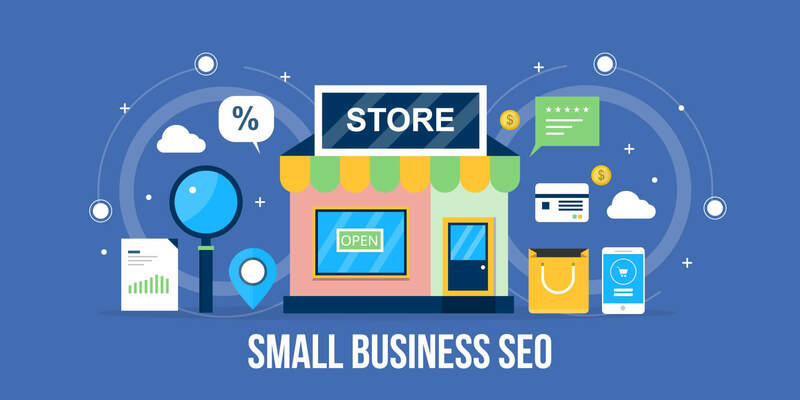 Don’t be discouraged though, taking advantage of the SEO tactics often overlooked by big businesses can help local businesses catch up in terms of online search ranking. As big businesses often dominate the SEO world in terms of external links as well as reviews, local businesses can compete thanks to the consistent addition of new content to their website. The best example of this is a company blog. By creating and publishing blog posts on a regular basis, local companies can increase their search ranking in numerous ways as this allows them to constantly add new content containing target keywords not only within the content itself but also its title and description as well as URL. Tactics such as this that are often overlooked by big businesses can have a big impact. Despite the regular addition of new content being a great solution for small companies, it only lasts as long as you continue the trend. Local businesses that cease adding regular content to their site will quickly see the adverse effects taking hold and once again struggle to compete with big businesses on search engines.